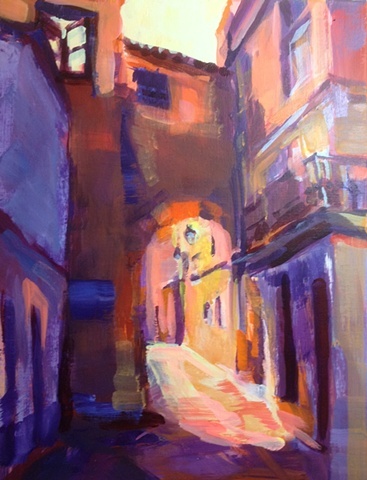 After returning from my second trip to Spain in 2012, I used a Cordoba street scene as my first opportunity to try out my new 'Tudela palette' . The dramatic light and unusual architecture are energized by the boldness of the color. Layered more densely with paint, compared to the Tudela scenes, this Cordoba street scene affords the viewer intimate, captivating and exotic experiences.